The Caribbean is a diverse region of islands each offering a unique experience, with brilliant beaches and exquisite hotels. With some many islands to choose from you're bound to find somewhere which creates your dream holiday. Barbados holidays Barbados is a real coral island and one of the most diverse in the Caribbean. Just 22 miles long with green rolling hills, pristine white sandy beaches and the vibrant capital of Bridgetown. This is the perfect tropical beach paradise island with all the facilities needed to make a perfect holiday. 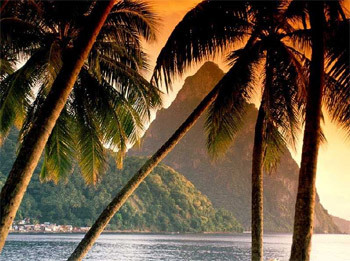 St Lucia holidays St Lucia is renowned as one of the most beautiful Caribbean islands. 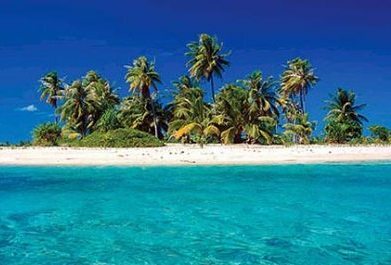 It offers a wide contrast of landscapes ranging from one of the few remaining tropical rainforests of the region to the beautiful white and volcanic sand beaches. This is all dominated by the stunning view of the towering Pitons, the two lava cones which stand guard to St Lucia's "walk in" volcano the Soufriere. This is a wildly popular hotel with singles, couples and families. The resort is spread around a pretty, curving bay with a sandy beach and green hills behind. It has beautiful landscaped gardens and among them you’ll find 4 swimming pools. Amaryllis sits on the beautiful white sands of Palm Beach, one of the best beaches in Barbados. Surrounded by lovely gardens, it offers a relaxing haven but is close to all the amenities of the vibrant south coast. Catch some rays on the sprawling white sand beach, relax alongside one of the pools or enjoy a dip in the Jacuzzi. On Barbados' spectacular East Coast, a remarkable transformation is taking place and plans to be open in November 2009. The new Bay Gardens Beach Resort is situated on St Lucia's beautiful Reduit Beach. Set amongst carefully landscaped gardens with most rooms boasting delightful views of the Caribbean Sea, this all-suite hotel echoes St Lucia's colonial past with a mix of Caribbean-French and Georgian plantation styles. From the moment you arrive at Cobblers Cove and are greeted with a refreshing cocktail, you will find the mood warm and welcoming, restful and relaxing. Cobblers Cove is an ideal holiday location for an elegant and relaxing Caribbean holiday. This modern resort occupies 300ft of south coast beachfront. It doesn't matter which hotel you stay in, as you are free to use the facilities at both. This means you can enjoy 2 swimming pools, an oceanfront restaurant and, of course, a selection of FREE non-motorised water sports along the lovely white sand beach. The complex has the added advantage of being only a 5-min drive from the shops, bars and restaurants of the lively St Lawrence Gap. Nestled on the scenic west coast, the luxury Discovery at Marigot Bay hotel and spa provides an intimate and luxurious environment for guests with every possible modern amenity. Bursting with charm, Discovery Bay by rex resorts captures perfectly the glamour of the Caribbean of old, with plantation-style houses set in beautiful landscaped gardens. Located on the fashionable West coast of the island, it’s a small, intimate resort with a decidedly relaxed atmosphere. East Winds Inn is situated on the North West Coast of St Lucia and is an all inclusive hotel. East Wind Inn is a true Caribbean paradise, one of the oldest and most established resorts in St Lucia, East Winds Inn is set amongst 12 acres of lush tropical gardens bordered by the golden beachfront of one of the most pristine bays of Saint Lucia. This traditional resort boasts an exclusive experience to those who value simple luxury. Informal, yet elegant and private. Spacious, but still romantically cosy. East Winds Inn consists of only 30 rooms in semi-detached cottages all set amongst the verdant gardens. Each of the rooms has its own private and shaded terrace or patio and is tastefully decorated offering the finest in comfort and amenities. At Fond Doux Holiday Plantation step out of your plantation cottage or suite and into the healing arms of nature in this tropical paradise. Set on a 19th century colonial plantation in soufriere, Fond Doux Holiday Plantation is one of the region's most active agricultural plantations. Luxurious and architecturally intriguing, the estate is a journey back in time. This tranquil, family-run hotel is nestled on the south coast of Barbados, several minutes from St Lawrence Gap with its lively bars and restaurants and just across the street from a white sandy beach. It enjoys a high percentage of repeat guests thanks to the friendly staff who go out of their way to make sure your holiday is one to remember. Designated a national treasure of Barbados, the Island Inn Hotel was originally a Rum Store for the British Regiment! Whilst rum may still be in plentiful supply, it has been completely renovated to offer perhaps the most intimate all-inclusive hotel experience on the island. With only 24 rooms and suites, it’s perfect for those who enjoy a less crowded atmosphere. Ladera, one of St. Lucia's perfect little treasures, hides in elegant seclusion on a hillside. Ladera is a small, lush, tropical gem that is world acclaimed yet still relatively unknown. Le Sport is located on the northwest tip of the island, right on Cariblue's Crescent beach. The hotel's 154 guest rooms rest on 42 acres of lush tropical gardens just a 30 minute drive from Castries. Guests here can be expected to leave feeling invigorated, rejuvenated and rested.